I just covered the Specialty Equipment Market Association SEMA 2014 Show in Las Vegas, NV at the Las Vegas Convention Center, November 4 through November 7, 2014. SEMA was bigger than it has ever been. 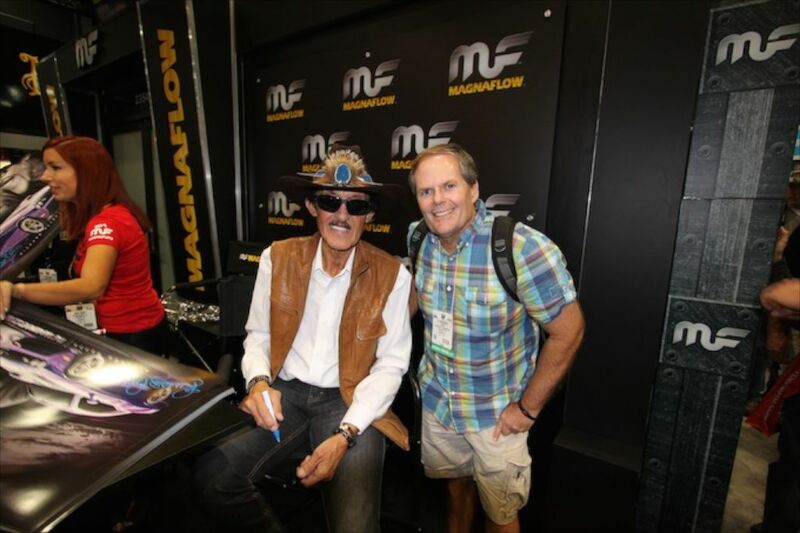 Here I am getting my photo taken with legendary NASCAR driver Richard Petty. How cool is that? Watch for a full show coverage article coming soon on these pages for SEMA 2014!